This Cartridge Filter Kit includes one replacement filter and one replacement check valve for the SoClean 2. The filter and check valve should be replaced every six months. This kit is suitable for all SoClean machines with “1200SC” in the serial number. 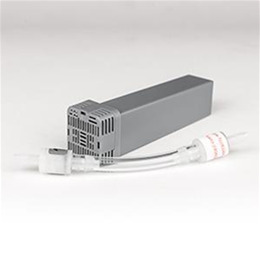 The Cartridge Filter converts activated oxygen back to regular oxygen as it leaves the SoClean 2 chamber. The check valve prevents water from your CPAP from damaging your CPAP electronics.